Much of the conceptual and aesthetic impetus for my artwork has been derived from interest in ritual objects, shrines and talismansthe intersection of the sacred and the secular. Personal iconography often includes parts of the body and flora presented in a contemplative manner. 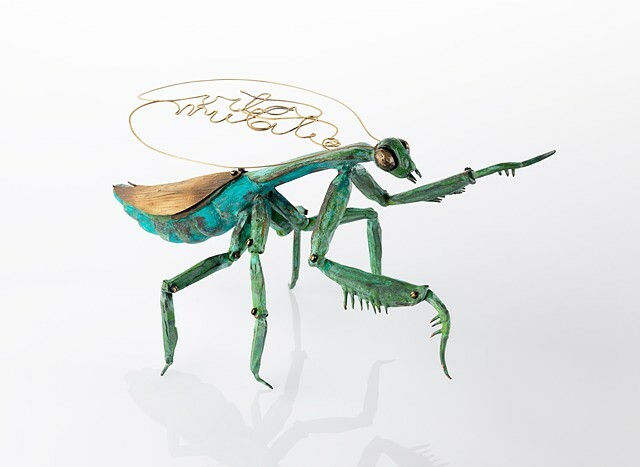 My newest work has been focused on insect-inspired forms, which become metaphors for the present human condition and also serve as an ethical inquiry into the scientific ability to genetically modify our food, alter our bodies and prolong life. Fragmented, altered with mechanical elements or re-contextualized, these life forms are formally preserved to reference our fascination with mortality and desire. The intended effect is for the pieces to be specimensbeautiful, yet at times, disturbing.